At Sweet Scentsations Bakery, we provide fresh baked goods baked to order and served with a smile! We opened April 15, 1999 in a small building in Atoka, TN with one employee (Arlene). At Sweet Scentsations we strive to not only give our customers a quality product but also the best value for the dollar. A family owned bakery with faith in God as the guiding force, we try hard to be the best at what we do. Growing over the years with loyal happy customers and a larger space, we now reside in a three story log cabin. Since opening we serve our military community, our schools and churches. Our customers range from Brides, Grooms, Mothers of Brides and Grooms, wedding planners, event planners, to parents planning birthday parties. We are located at 260 Commercial Drive in Atoka, TN 38004. Feel free to drop by and visit us in person. Our hours are: Tuesday and Wednesday 10am-4pm, Thursday and Friday 8am-6pm, Saturday 10am-4pm, and Sunday and Monday we are closed. We offer a variety of gourmet products for our clients, which include wedding cakes, birthday cakes, pies, cookies, fried pies, cupcakes, sweet trays, pastries and petit fours. We also bake brownies, as well as lemon and pecan squares. We also offer catering services for your weddings or special events. Our homemade recipes are passed down from previous generations along with some really cool modern designs for today. Everything from classic wedding cakes to tiered designer birthday cakes for todays special events. 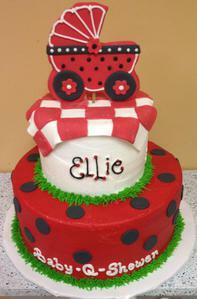 We have sheet cakes, 3d cakes, cutouts along with other pastries and desserts. If you are planning a special event or you just want to satisfy your sweet tooth, give us a call today at Sweet Scentsations Bakery. Service with a smile!